The ROG Swift PG279Q gaming monitor follows on from the PG278Q, in essence it replaces the previous model so unless funds are limited or you have a particular fondness of TN panels you should purchase this new IPS based ROG Swift. This new panel provides a more vibrant image even at obscure viewing angles. Apart from the IPS display technology the new monitor also has a boosted refresh rate, you can hit the dizzying heights of 165hz assuming you have the graphics card grunt to push it that far. 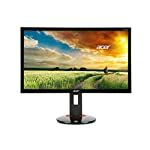 You’ll also need a modern G-Sync compatible card to take advantage of this monitor and, given this is a QHD 2560 x 1440 resolution monitor, it needs to be a top range one too. The ROG brand, standing for republic of gamers, is the game orientated wing of ASUS that specialises in products optimised for the most demanding of modern day PC games. If you are looking for a screen truly designed to run the latest games in their best light then you are the target audience for this model. Like its predecessor, the PG279Q is a smart looking monitor with a matt black finish, very thin bezel and a matt display too. It has that “gamer” look for sure, which might be out of place in the office but looks the business at home. It’s a sleek design that should appeal to most buyers. The attention to detail is good, as you would hope for what is a premium monitor, you get cable tidy holes, glowing LCD lights (that can be switched off if you don’t like that kind of thing) and a good range of adjustments to ensure you get the screen placed just how you like it. In terms of connectivity, the PG279Q comes with DisplayPort and this time we have the additional HDMI connectors. Whilst this is a welcome improvement over the last model you’ll need to use the DisplayPort socket if you want to take advantage of G-Sync. But still, if you are buying this with a view to upgrade to a compatible Nvidia card in the future then the HDMI port will be useful to you. It also has a headphone socket along with built in speakers. If you want to get the most out of this monitor you’re going to need a decent graphics card. To run a 2560 x 1440 screen at 165hz you’ll want a Nvidia GTX980 perhaps, the GTX960 struggles at anything above 1080. 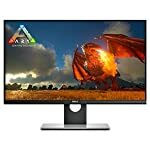 That’s not to say you shouldn’t buy this monitor if you don’t have the GPU power but you might want to consider something cheaper if an upgrade isn’t on the horizons, or perhaps wait until prices come down a little. If you are lucky enough to have a modern Nvidia card then you’ll be able to enjoy smooth running games via G-Sync. This ensures your screen fully displays all the frames that are sent to it thus eliminating tearing or forcing you down to a low fps. G-Sync is easy to use, Windows will detect a compatible monitor and you can switch it on or off via the Nvidia control panel. Just remember to disable vsync in games. If G-Sync isn’t needed then you can switch on ULMB, Ultra Low Motion Blur. This is a technology that acts to reduce motion blur in your games and definitely gives you a much sharper picture during high action sequences. You are limited to 120Hz and there is a drop in brightness when running in this mode – it works by showing a black frame between images. The IPS screen gives good, even colour reproduction which is expected with no noticeable back light bleeding or flicker. 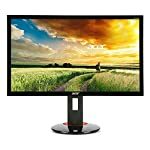 You’ll also get great viewing angles so if you aren’t sitting directly in front of the monitor you will still see a strong image no matter where you are looking from. Response times are slightly lower than the previous model but this shouldn’t concern, they are still excellent for gaming and good for an IPS based screen. We give the Asus ROG Swift PG279Q a 4 out of 5 rating. Want to know what existing owners of the monitor think? You can read real user reviews here. 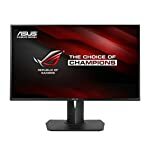 Should I buy the Asus ROG Swift PG279Q? Welcome to the Asus ROG Swift PG279Q FAQ. This section attempts to answer common questions you may have, please get in touch if you have any more queries or if you think our answers need updating. Does this come with HDMI? Yes, this has been added since the last version, however you’ll need display port to use G-Sync and the top refresh rate. Any new G-Sync compatible card should have DisplayPort anyway but do check. 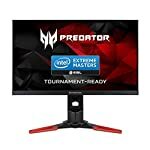 Is this a 3D monitor?